Fire drills are very important because through practice people will learn what to do and how to behave in an emergency. How prepared they are during a fire drill is very important. Tips and steps will help to have an effective emergency response and remain in control. The Barangay Peace and Order Committee (BPOC) continues with their program for the year. There are a number of trainings lined up for them by CDRRMO. 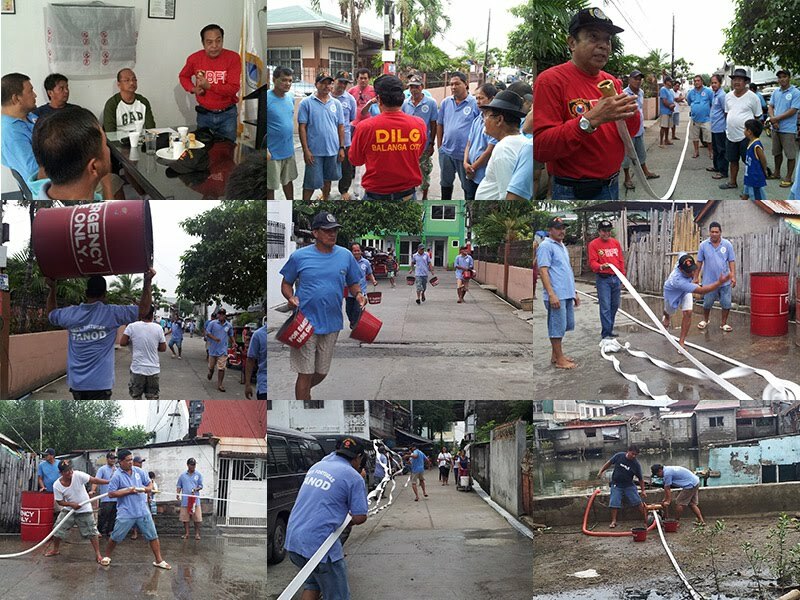 Our Barangay strives to improve our disaster response plan. We like to thank Punong Barangay (PB)Jess Jimenez of Barangay Malabia, the ex Fire Station Chief, for accepting our invitation to talk about proper preparation techniques in the event fire breakout in our Barangay. PB Vic Baluyot introduced our existing Barangay Standard Operating Procedure and PB Jimenez was highly satisfied with it. He left us with a few more helpful tips in dealing with emergencies. PB Jimenez mentioned that Barangay Tortugas, being an island, has sufficient supply of water when faced with fire. And that while fire trucks would normally need to do fill ups, we have the advantage of not running out of water as we have a good source, our rivers, using water pumps. We look at our fire drills as a serious matter. During one of our drills, it was very evident that we had ample supply of water. Though what we do are meant to be that of FIRST RESPONDERS steps, they are critically important while awaiting for firefighters to arrive. Maraming salamat pong muli kay P.B. Jess Jimenez ng Barangay Malabia sa inyong pagtulong. Mabuhay po!